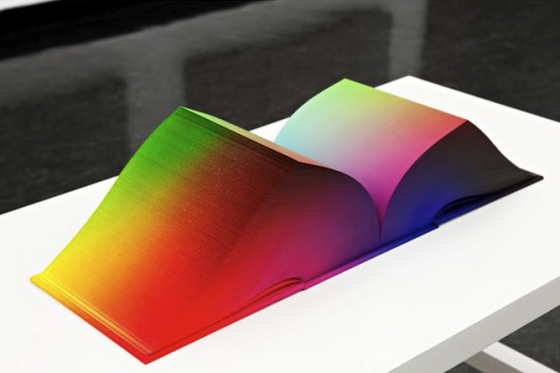 What would it be like to be able to browse all of the world's colors with your fingertips? 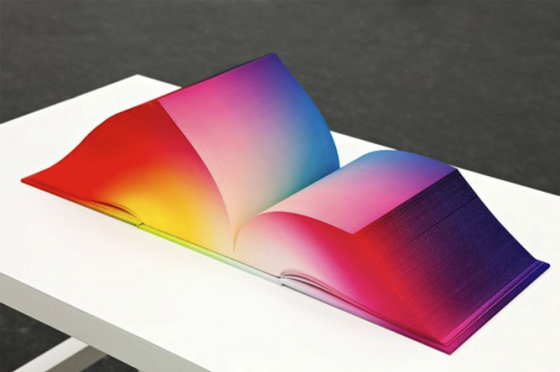 Artist Tauba Auerbach has helped answer that question in a really creative way. 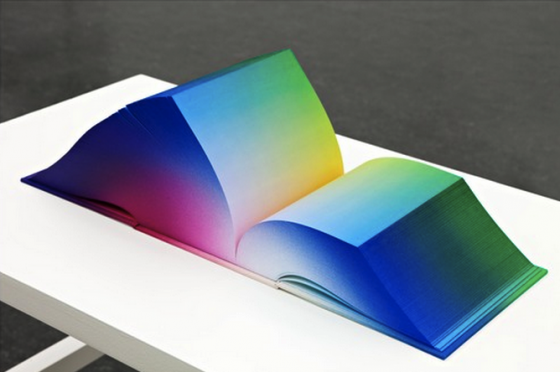 Auerbach, in collaboration with Daniel E. Kelm, has taken every color there is and placed them in three amazing 8 x 8 x 8-inch case bound books called the RGB Colorspace Atlas. 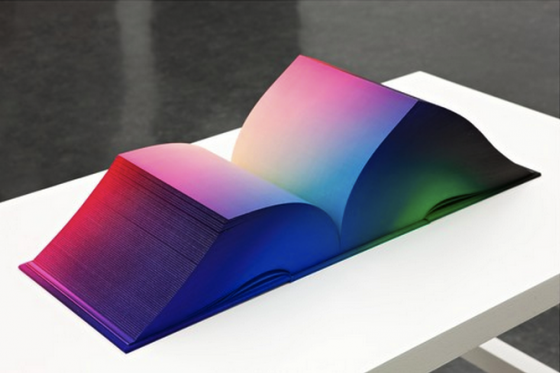 Each volume contains a different color scheme and they were created with digital offset print on paper, while the cloth covers and page edges were airbrushed. 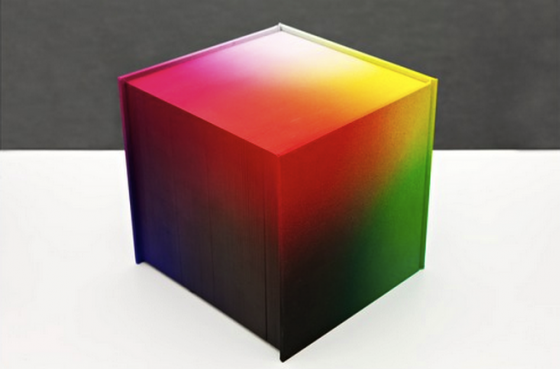 Feast your eyes on their colorful, cubic creations. How'd you like to have one of those on your shelf? 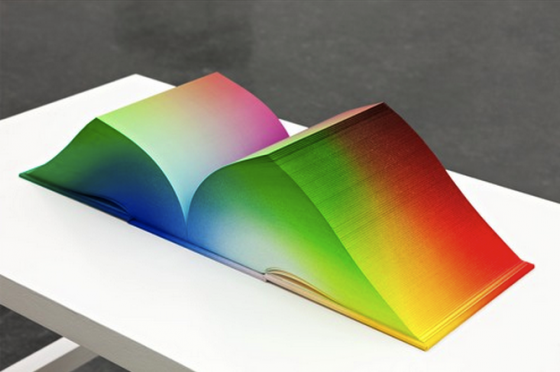 If you want to get an idea what it's like to browse the colors of the books, check out these simulations from each of the different color axes. www.colourlovers.comCommunity builder, color lover, bike rider, book reader. 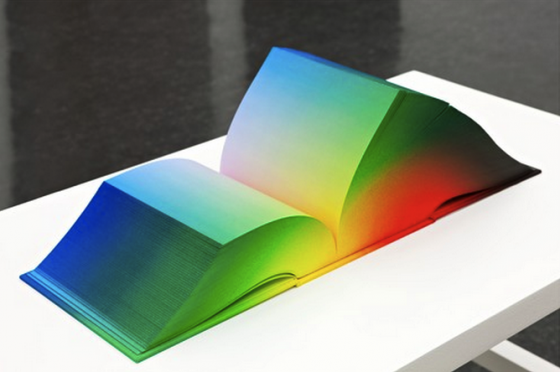 It is certainly beautiful and it combines two of my major loves: color and books! What I'm wondering is...what are the books' function? Are they purely decoration or what? Wow! Love the color atlases! It was 1999 or so the last time I played Pokemon. I remember liking Charmander enough. It looks cool, sure. But I'm not sure why anyone would want one if you need to handle it with white gloves every time you want to look at it... Plus it probably costs strawberries! color with no soul !!! These are at MoMA in NYC. They are just as beautiful in person!